Hard to believe, but it's true. 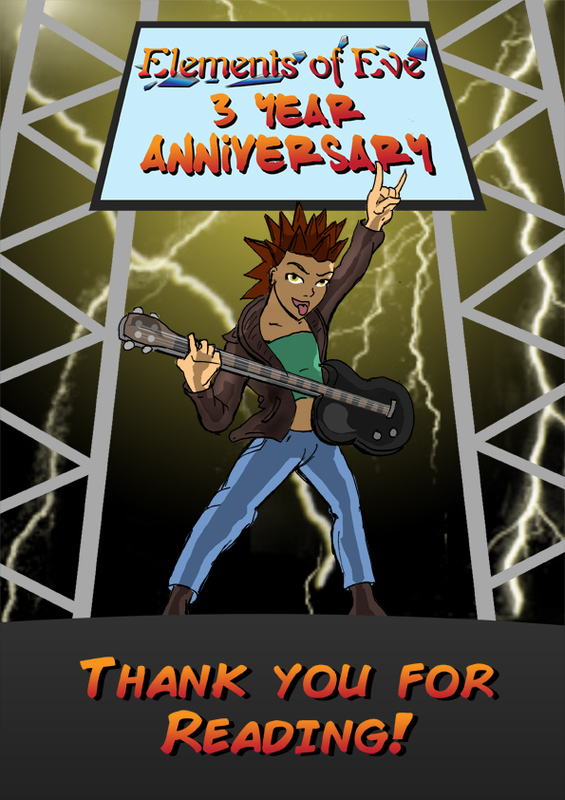 Elements of Eve has been on the web for three years. This past year has had its downers (a hiatus or two, still jobless...) but some ups as well (finished college and finally saw the comic in print), and I'm still going. Here's to three more years, and however long it takes to tell this story. Thanks for sticking with me, folks.